Buh wha I do, do 🙈 I have “baes.” These are my imaginary friends. I can see a hot guy and BAM! He’s my bae! For instance, Train Bae, Gas Station, Gym Bae, and Bank Bae... well I’ve yet to find a Bank Bae but I’m always well dressed just in case 😍. Pretty much they are just crushes on random strangers. I mean, common! A whole HAWT me, Ola Blessed, Ayokumbee, Mommy Gee juss sitting there at the library or Starbucks, juss jejely minding my business... looking radiant and fine anyhow and 💥BAM 💥 I look up and there he is handsomely standing in front of me, with one hand on the table and the other on the chair opposite of me, asking if he can sit and chat. Of course, he’s raining that beautiful smile down on me as the aroma of his expensive cologne carries me away!! I’m ridiculous, I know lol ☺️ But! It gets better.... 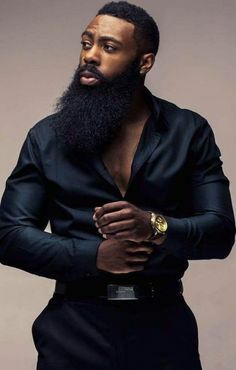 I got to work one day and to my surprise a tall glass of handsome was there, even wearing bia bia (a beard, cuz you know I’m team beard gang... you should know these things na) and I was trying to reduce my natural awkwardness 😅 anyway sha, in between stealing glances of him, I completely ignored him 😅 It only lasted for about 20 minutes because he asked me for my name. Immediately the awkwardness increased. I actually don’t remember telling him my name and when he stated his, I heard a completely different name 👀 like his name has 3 syllabi and I heard a one syllable name that isn’t even remotely similar 🤦🏽‍♀️. E be like say this guy get some amount of awkwardness as well 😒Before the shift was over he managed to very swiftly put his hand on my lower back and swish it around my waist somehow 😳 Sir!! Worris all of dis (what is all of this*)!! It’s was more like a “Sorry, I don’t want to knock you down" embrace, and I know I’m a fine geh, but Sir!! You fine and all but keep your hands to yourself! You're just destroying your essence of bae! Haba if you won't ask me my likes and interests, and for my number, then remain a mystery!! Lemme daydream in peace na?! This entering of the personal space for no good reason... you de fumble ooh! It's like a babe can't just crush and have baes in peace😩. Someborri's juss gonna come and mess it up. Apparently, if I'm not extremely awkward, then he is... or I'm too uptight/judgemental/juss not ready yet 😅 Who knows? !